This Suncast wire shelf kit is for use with the Backyard Oasis Storage and Entertainment Station. Perfect for storing small outdoor and garden accessories. 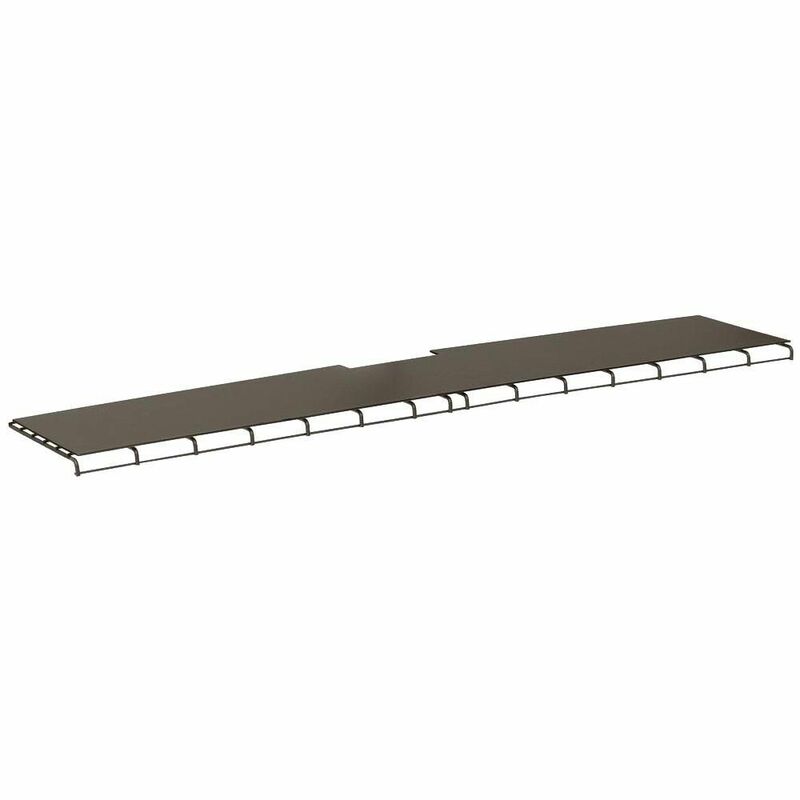 Durable powder-coated steel shelf with plastic liner. Create a barrier between your stored items and the ground with the EZEE Shed Floor Framing Kit. Our EZEE Shed Floor Framing Kit is easy to assemble and is made of heavy duty HDG steel. Unit does not include flooring. Choose your own floor finishing material. Make your Berkley standout adds light to your building while maintaining security. Features tempered glass. Shingle to match your building (shingles sold separately). Not available in Quebec Market. Available in store by Special Order Only. See associate for details. Wire Shelf Kit for VDB19500 This Suncast wire shelf kit is for use with the Backyard Oasis Storage and Entertainment Station. Perfect for storing small outdoor and garden accessories. Durable powder-coated steel shelf with plastic liner. Wire Shelf Kit for VDB19500 is rated 4.3 out of 5 by 24. Rated 3 out of 5 by GREATCOUNTERTOPOVEN from I couldn't use it and still have room in my... I couldn't use it and still have room in my cushion storage box but I had already removed it from the box and my husband had thrown the box away so I wasn't able to return it. Bummed as I paid $30 for it. Oh well, I should have waited to get it but wanted it all at once. Rated 4 out of 5 by JHS from I wish it mounted higher in the box so my cushions would fit a little less snugly. I wish it mounted higher in the box so my cushions would fit a little less snugly. Rated 4 out of 5 by Paul from Perfect size to hold smaller items. ... Perfect size to hold smaller items. Rated 5 out of 5 by Len from Sturdy, easy to install.... Sturdy, easy to install. Rated 4 out of 5 by MW2 from Easy to assemble and very sturdy. However the shelf is... Easy to assemble and very sturdy. However the shelf is a metal wire rack with a thin sheet of plastic that sits on top to match the box. It doesn’t attach to the shelf. Rated 5 out of 5 by Tia from Glad I read the other reviews. Shelf is purchased... Glad I read the other reviews. Shelf is purchased separately.